NEW YORK and LITTLETON, Colo.—Anheuser-Busch today announced it will acquire Colorado-based Breckenridge Brewery. With this agreement, Breckenridge Brewery is the seventh craft brewery to join The High End, Anheuser-Busch’s business unit of craft and import brands. Available in 35 states, Breckenridge Brewery will sell approximately 70,000 barrels of beer in 2015. The new brewery and Farm House restaurant in Littleton have positioned the brewery for future growth. The brewery will continue to make its unique portfolio of beers – ranging from their Vanilla Porter, to Agave Wheat, to their core brands, seasonal specialties and barrel-aged beers. Breckenridge Brewery will join Goose Island Beer Company, Blue Point Beer Company, 10 Barrel Brewing, Elysian Brewing Company, Golden Road Brewing and Four Peaks Brewing Company as part of The High End’s craft beer portfolio. The partnership includes the company’s new production brewery and Farm House restaurant in Littleton, and original brewpub and current innovation center in the mountain town of Breckenridge. The current management group, Breckenridge-Wynkoop, will continue to own and operate its remaining businesses including: Ale House at Amato’s in Denver; Breckenridge Ale House in Grand Junction; Breckenridge Colorado Craft in Denver; The Cherry Cricket in Denver; Mainline in Fort Collins; Phantom Canyon Brewing Co. in Colorado Springs; and Wynkoop Brewing Company in Denver. Anheuser-Busch’s partnership with Breckenridge Brewery is expected to close in the first quarter of 2016, subject to customary closing conditions. Terms of the agreement were not disclosed. 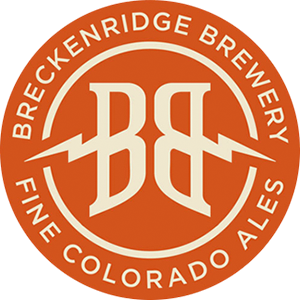 First Beverage Group acted as financial advisor to Breckenridge Brewery, and Brownstein Hyatt Farber Schreck, LLP provided legal counsel. Another one bites the dust. And why don’t they mention InBev? It is a sad state of affairs…..
Another one bites the dust. So long. Oh well, with good, local, craft breweries springing up all over the country constantly there are plenty of other people to exchange money for good beer with. In-Bev can’t buy them all. I think I’m an optimist. I hope that the founders and brewers of these breweries will continue to have a voice within Inbev-AB. I hope that this partnership means I can get Four Peaks beer here in San Francisco and soon will see other, new beers for me to try. How is InBev immune to Antitrust laws? It seems like they own everything. For those of you too young to remember Dubois Budweiser? Even more recent: Rolling Rock? When the time comes the axe will fall! Mark my word. This brewing giant has long hated their new competitors, the Craft Brewers. have opened Worldwide is impossible to stop with just buyouts, it is on to Plan B. Their recent merger, AB InBev and SABMiller allows them to control 30-40 percent of beer sales worldwide and that means they will eventually be able to control the price of Hops worldwide through their demand and ability to pay. So Craft Brewers it is time to Unite against InBed!! Hop to it! If not your Dbl IPA may soon be DOA. out for these craft beer pioneers, do not believe that the Big Brewers did this for any other reason than Control of market share. Now that the floodgates of fermenting beautiful brews have opened Worldwide, and is impossible to control, it is on to Plan B. The recent AB InBev and SABMiller merger resulted in the control 30-40 percent of beer sales worldwide and that means they will eventually be able to control the price of Hops worldwide through their demand and ability to pay.